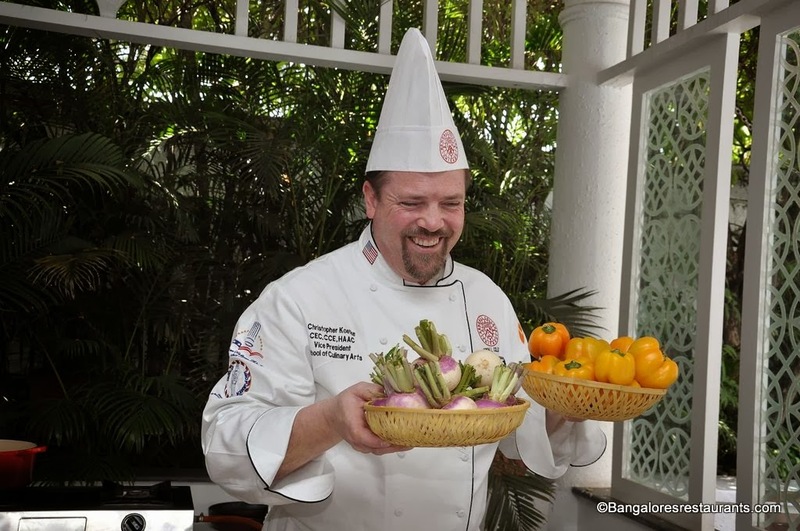 Christopher Koetke was named Vice President of the Kendall College School of Culinary Arts in Chicago USA, in 2012. 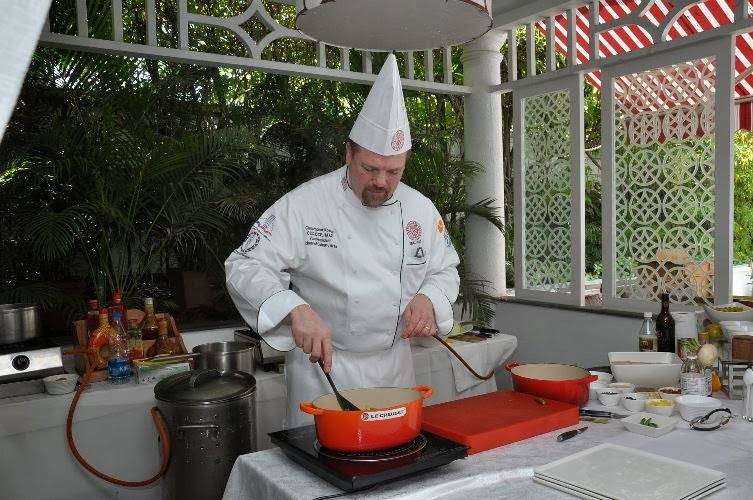 Koetke began cooking professionally in 1982, and has worked in some of the world’s finest kitchens, including French restaurants Pavilion Elysees, Pierre Gagnaire, Taillevent, and Pierre Orsi. 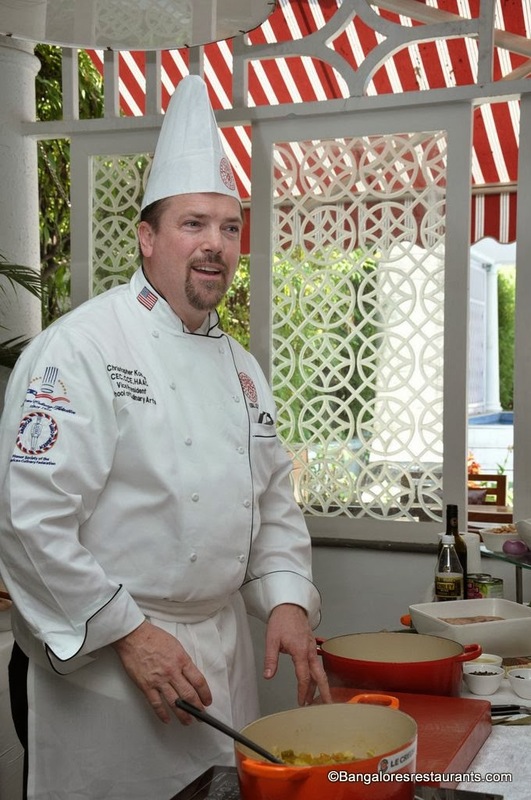 He is a certified executive chef and certified culinary educator by the American Culinary Federation. 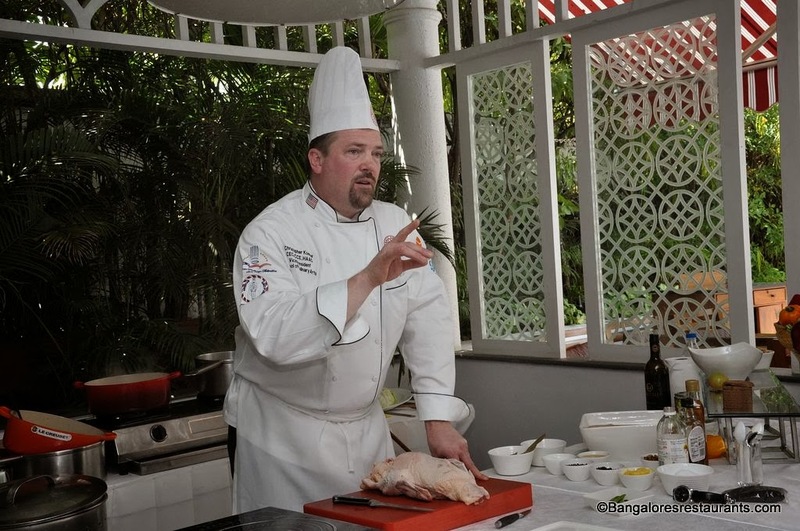 Chef Christopher was recently in Bangalore and conducted a cooking demo and interaction at the ITC Windsor. Work kept me away from the event which I heard was a brilliant display of knife skills among other abilities. But I did manage to get an e-mail interview. And believe me its an interesting and insightful one. You have been a chef and a teacher for years now – what are your insights on the evolution of a chef? Indeed. The journey of one from being a student to one day becoming a chef is a long and very rewarding one. It is much like becoming a great sport player or musician. It takes an intense and unrelenting passion that carries you from day to day, never lets you forget your big dream, and fuels creativity. It also takes consistent discipline. Discipline is at the heart of turning a passion into a successful profession. It takes many years of practice and effort—all of which pay off one day. It also takes intensity to pursue your goals with a laser focus and purpose. During this process, cooks grow and maturing into chefs, who are the CEO of the kitchen. Being a chef requires persistence and a very diverse skill set that includes not only food, but the necessary business competencies to successfully run a business. 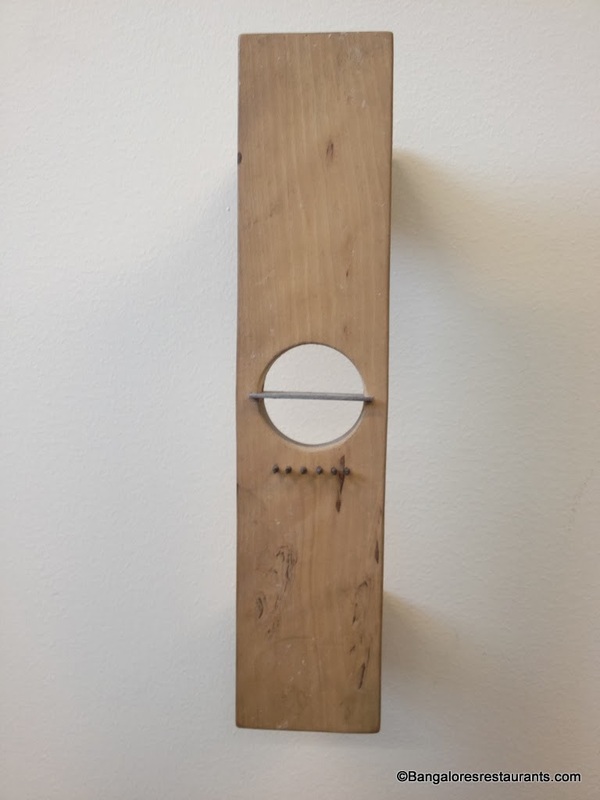 One of the other areas of knowledge that is increasingly important for the chef is to understand sustainability (food, water, energy, and waste) so that they can increasingly run their businesses in a sustainable fashion. What would you say are the defining characteristics of a chef today? In many respects what they have always been: strong culinary skills, a creative spirit, a 360 degree understanding of the business, managerial skills, a customer focus, and a drive for excellence and perfection. In addition, chefs now need to have a firm understanding of nutrition, sustainability and, increasingly, food science. The amazing part about my correspondence with her is that I was only 15 or so at the time and she was very famous. She had no reason to write to me except that it was simply her nature to do so. She was an amazing person and one that I will always be grateful for. What I remember most about these letters was her encouragement for me to dream big (which at the time meant heading to France to work with the great chefs there). She helped me believe that I really could do it. It was truly a selfless gift that she gave to me when I was quite a bit younger! I did indeed start my formative years both in US food and then intensely in the world of fine dining which at the time was all about French food. Since that time I have gone through several artistic transitions. First I started to ask the question of what it meant to be a USA chef. This in turn led me to explore my roots which included old recipes, study of regional USA cuisines, and indigenous ingredients. More recently with all my global travel I am seeing a strong international trend where chefs all over the world are turning to their own locals for inspiration. The result is an elevating and celebrating of local foods all over the world in the hands of creative and talented chefs. One story I love to tell in my journey back to my roots was when I was the chef of an haute cuisine restaurant in Chicago. I remembered a small variety of strawberry that I had picked with my family during the summers when I was a kid (we grew up in a small town where my mother would preserve fruits and vegetables for the winter). I couldn’t find the berry any more as it was very small and thus had fallen out of favor with people who wanted large strawberries. In reality though, these little ones had amazing flavor. Finally I found a 15-year old boy who had a small plot of these strawberries. I bought them all and then paid him to grow them just for me at the restaurant every year. We featured them for only 3 weeks a year when they were available, but oh! How all we looked forward to their arrival! What would you say is the next biggest trend in the culinary world? It is the turn to local sources for inspiration and originality. It is an exciting trend as it truly celebrates global diversity and produces an amazing amount of original cuisine and concepts around the world. Besides youngsters, a lot of people are today giving up high-flying jobs to pursue their passion in food – as an instructor, what advice would you give them. First of all, you have to go where your heart and passion takes you. 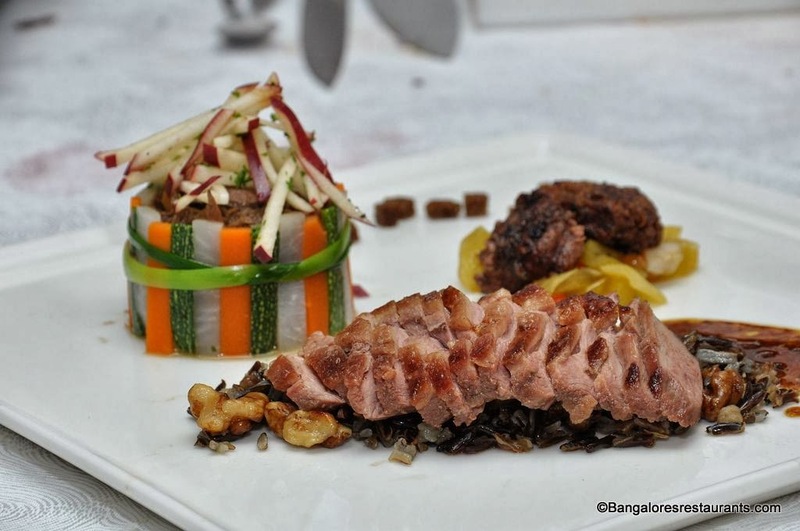 The culinary arts are a creative endeavour and many people need to express themselves creatively to be satisfied. For those who gravitate to culinary arts, it is often this sense of creativity—and also often of entrepreneurism—that brings them to culinary. My advice for those who are wishing to switch career is to try working, even for a very short time, in a professional foodservice environment so that you can discover if that environment is what you wish. In addition, cook as often as you can and also enrol at a high-quality culinary program. I also highly recommend having a big dream—something that you will want to aspire to. I advise all students, no matter of age, to do this as it is necessary to sustain them, especially when you have a tough day! In the kitchen, I am intense, highly focused, and driven toward the elusive goal of perfection. That said, I believe that there should never be an abusive management style in any kitchen. It is not respectful of others. You can be very focused, intense, and driven to excellence and have fun doing it. This all works when there is a great team in place, all dedicated to the same goal. In this environment, it is a very positive environment. The reality is that we are surrounded by other people every day. It is our responsibility to care for them and help them achieve their personal goals. There is no room for bad behaviour from a chef—ever. Well, I basically will try just about anything, and I have eaten many unusual foods around the world. Sometimes they are completely delightful, other times a bit less so. There are many meals that are etched into my memory. Some have been in the world’s great restaurants. Others have been incredibly simple, like street food vendors. If I needed to think of a recent one, I would think of a meal at a 70 year old woman’s home in Mexico City. I was invited to this lunch along with some other chefs. The company was perfect. This woman cooked simple foods that were cooked from her heart. I call it soulful cooking. Among other great foods, she cooked the best black beans I had ever eaten. 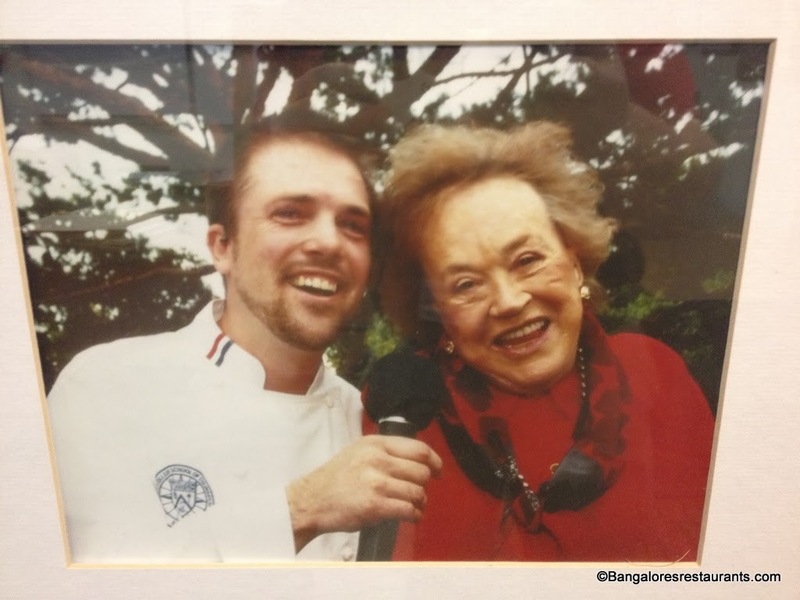 I loved them so much that I featured them on my television cooking show in the US. It was perfect. • Simple salad: I have an attraction to bitter salad greens with acidic vinaigrette and a generous amount of salt. These simple ingredients are just perfect together. • Flowers on the table. I have been doing Ikebana (Japanese flower arranging) for 25 years. • Sparkling mineral water. I love bubbles.